We have produced a norfolk constabulary organisation chart so you can see how our organisation is structured. You can read more about our senior policing and management team in the bios below. In 1998 he was seconded to the National Crime Squad and as Detective Inspector he was responsible for managing covert operations at a national and international level targeting serious and organised crime gangs. In 2000 he was further seconded to the Rosemary Nelson murder investigation based in Northern Ireland. He worked for three years on the investigation before he returned to Norfolk as a Detective Superintendent with responsibility for intelligence. In December 2005 Mr Bailey was promoted to the rank of Detective Chief Superintendent and as Head of Crime he managed the Force Specialist Crime and Operations resources. 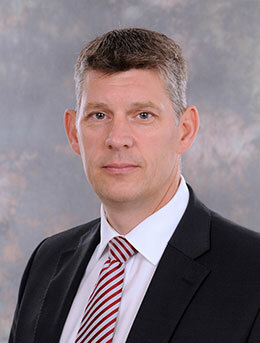 In September 2010 Mr Bailey was promoted to Deputy Chief Constable with responsibility for Legal Services, Human Resources, Force Performance and the Norfolk Policing Model Review. On 10 June 2013, Mr Bailey was temporarily promoted to the rank of Temporary Chief Constable and on the 19 September 2013 was appointed Chief Constable by the Police and Crime Panel. In January 2014 he became the NPCC lead for Child Protection and Investigation. 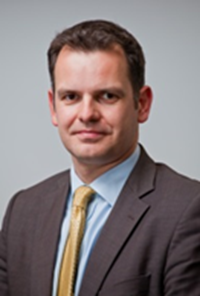 Mr Bailey was educated at Wymondham College and Norwich City College and has a Cambridge University Master’s Degree in Criminology and Police Management. He is married with two children and two grandchildren. Paul Sanford has been a police officer in Norfolk Constabulary for 18 years. Paul started his career in Norwich spending time in uniform and detective roles in all ranks from Constable to Superintendent. 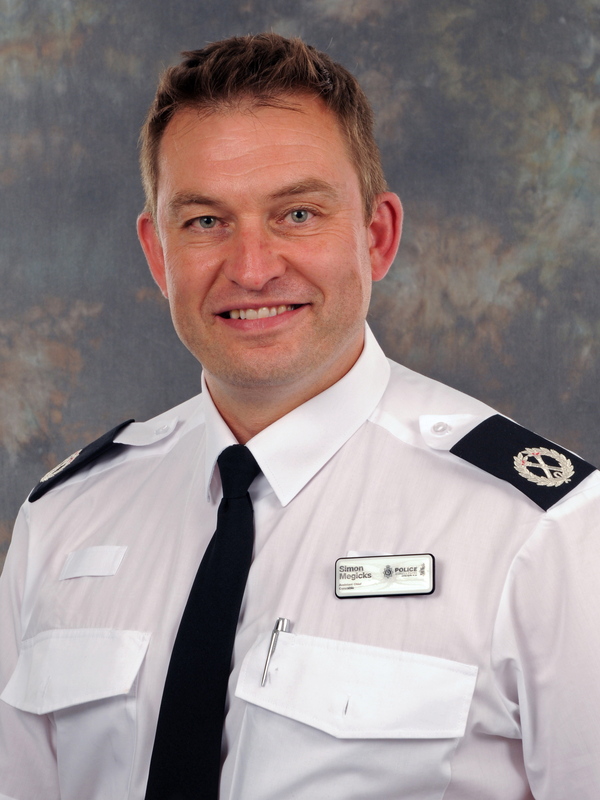 Promoted to Superintendent in 2008, Paul has held a number of posts including District Commander for South Norfolk, District Commander in Norwich and Head of CID. More recently, Paul has spent three years running the National Police Chief's Council Child Protection and Abuse Investigation Working Group. During this period, Paul was the Police lead for the implementation and rollout of the new Child Abuse Image Database (CAID) and was a panel member for the Inquiry into Child Sexual Abuse in the Family Environment led by the Office of the Children's Commissioner for England. Paul's office coordinated the national policing response to the rising concerns about the extent and scale of child sexual abuse and the growth of internet enabled abuse. 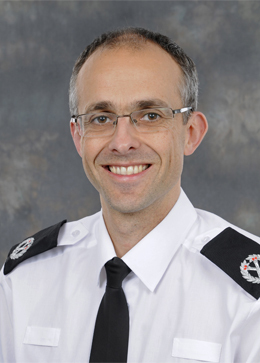 In September 2018, Paul became temporary Deputy Chief Constable for the force. 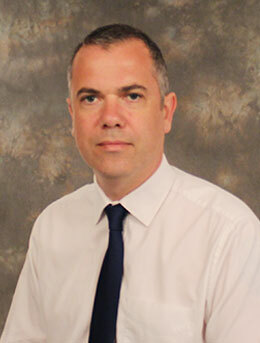 Paul has a Master's Degree in Police Leadership and Management, gained at The University of Leicester. 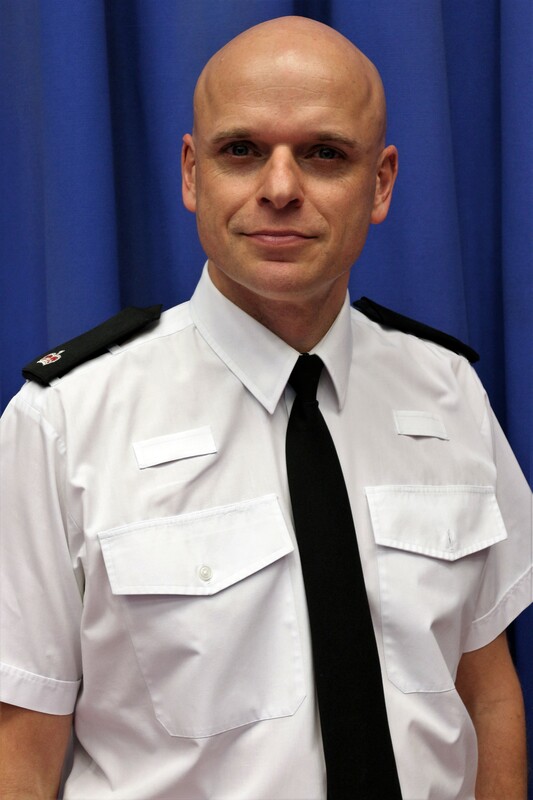 Assistant Chief Constable Simon Megicks began his career with Cambridgeshire Constabulary commencing in April 1996. Simon has served in a number of roles. In 2005, upon promotion to Superintendent, he led staff through dramatic performance changes, implemented the force’s response to neighbourhood policing and established himself as a senior operational commander. In 2010, he became Head of Public Protection, developing a sustainable model for the department as part of the Force’s redesign project. He also qualified as a senior Investigating officer, leading a number of serious crime enquires. 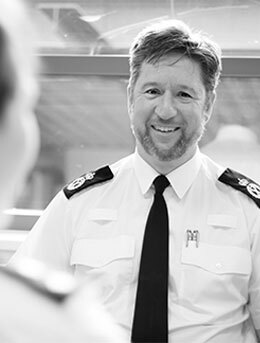 In 2013, Simon was promoted to Chief Superintendent becoming the Head of Corporate Development and led the Constabulary’s ICT enabled change programme. He undertook the role of T/ACC for Hertfordshire Constabulary in September 2015, overseeing the Collaborated Change Portfolio for all operational support functions including Contact Management across collaboration for Hertfordshire, Bedfordshire and Cambridge. Simon joined Norfolk Constabulary in June 2017, upon promotion as Assistant Chief Constable. He is the collaborative lead for Protective Services and Joint Justice Services for Norfolk and Suffolk. This involves overseeing the delivery of Cyber and Serious Crime, Intelligence, Major Investigations, Forensics, Specialist Operations along with Custody, Criminal Investigation Unit and Criminal Justice. In addition he is the ESMCP lead across both forces and is the chair of the Eastern regional mobile policing user group. Simon has a degree in Physics, is a chartered member of the Chartered Institute of Personnel and Development, has a Masters in Police leadership and is a graduate of the University of Cambridge’s M.St programme in Applied Criminology and Police Management. Simon is married with two young children. 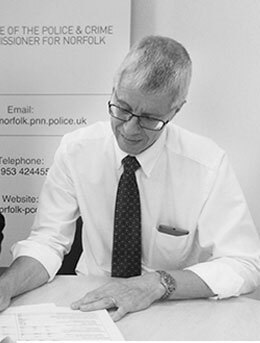 John Hummersone joined Norfolk as Chief Finance Officer (statutory Section 151 Officer) to the Police and Crime Commissioner in January 2014. In April 2015 he took up the permanent role of Chief Finance Officer for the Chief Constable, having previously covered it on a temporary basis following the discontinuation of the joint Constabulary Chief Finance Officer arrangement with Suffolk. 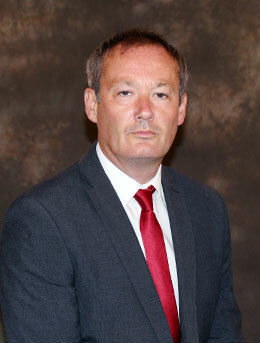 Mr Hummersone has worked in local government for over 40 years. His previous roles have included Chief Finance Officer to the Cambridgeshire PCC, Treasurer to Cambridgeshire Police Authority, Director of Resources for Cambridgeshire and Peterborough Fire Authority and Chief Accountant, Cambridgeshire County Council. He is a member of the Chartered Institute of Public Finance and Accountancy (CIPFA) and has significant experience not only in finance but also in financial systems development, property and estates development and corporate governance. Mr Hummersone’s responsibilities as ‘twin hatted’ Chief Finance Officer include providing high-quality financial advice, information and guidance to both the Police and Crime Commissioner and the Chief Constable so that good decisions can be taken, ensuring that all policies and plans are adequately resourced and that budget preparation, budget monitoring and financial management and accounting arrangements across the Constabulary and the Office of the Police and Crime Commissioner are fit for purpose. He also has line management responsibility (along with the Suffolk Chief Finance Officer) for the Finance and Procurement & Supplies Departments. Dave originally joined his then home force, West Yorkshire Police, working initially as a patrol PC in Leeds. Following promotion to PS and a posting to Chapeltown in Leeds, he completed 2 years as a response and Custody Sgt. He was promoted to Inspector and undertook a number of roles including within the Force control room as an OSCAR1, a staff officer to the Force Command Team and as a Patrol Inspector in Wakefield. Following promotion to Ch Insp, Dave was posted to Bradford as the Operations Chief Inspector for Bradford North and then North Bradford and Airedale Divisions. Dave transferred to Norfolk on promotion to Superintendent in 2008. In Norfolk he has been the district commander for North Norfolk and Broadland Districts, Kings Lynn and West Norfolk and from 2013 Norwich. Dave has been the Secretary of the Norfolk Branch of the Police Superintendents Association since March 2016. Corporate Communications delivers media relations, internal communications and digital communications support as well as offering advice on reputation and communications management. (Acting) Head of Joint Estates Department. Estates Services – to provide building maintenance, project work and estate management functions. Facilities Services – to provide premises soft services including caretaking, grounds, cleaning and catering functions. PFI Contract Management Services – to provide effective monitoring and compliance of our PFI contract functions. Policy and procedures relating to the management of the estate. The delivery of estate strategy projects and other estates related capital programme works. The delivery of our environmental strategy to reduce our energy consumption, energy costs and carbon footprint. The provision of 24/7 building maintenance and related soft services to our premises. The effective management of Estate Department contractors and professional services consultants. The department’s main purpose is to support and underpin operational policing by ensuring that financial resources and operational strategies are matched. This is to ensure proper governance arrangements are in place to cover financial matters in relation to Norfolk and Suffolk Constabularies. Undertaking strategic financial planning, and all accountancy services including budgetary control and the production of statutory financial information. Delivering specialist financial advice on Treasury Management, taxation, insurance, payroll and the provision of pension information. Providing financial transactional services including payroll processing, payments of invoices to suppliers and raising of debts to third parties. Leading and managing on financial governance, financial probity and financial service development. Developing and delivering a people strategy that supports the aims and objectives of Norfolk and Suffolk Constabularies, to deliver their Police and Crime Plans. promoting a culture of collaboration and partnership working. The department’s main purpose is to support and underpin operational policing by ensuring that all ICT services and equipment supports operational delivery across all areas of policing and the back office. Develop and maintain partnership relationships with other blue light agencies and the wider public sector, promoting the sharing of information and best practice to ensure the constabularies benefit from national and local improvement initiatives to drive efficient and effective policing in Norfolk and Suffolk. Information Compliance Unit (Comprises of the Data Protection, Freedom of Information & Disclosure and Barring Teams) – This unit provides advice and guidance to both the Constabulary and members of the public on statutory information rights and legislative obligations, including, fair processing, audit & compliance, data quality, access and disclosure of information (including the provision of relevant information to the Disclosure and Barring Service and regulatory bodies to support safer recruitment decisions for those working with children and vulnerable persons), information sharing initiatives, Privacy Impact Assessments, management of information assets and training. Information Security Unit – This unit provides advice and guidance on Information security, with an overall aim to maintain the confidentiality, integrity and availability of Constabulary information. This includes controls for physical, personnel, procedural and technical security. Information Security Unit is also responsible for managing compliance with national frameworks and Codes of Connection. Records Management Unit – This Unit provides advice and guidance on Management of Police Information (MoPI); review, retention and disposal (RRD); and secure on- and off-site storage, including the effective filing and retrieval of files/media. JJS is responsible for managing detainee services at each of the six purpose-built Police Investigations Centres (PICs) in Norfolk and Suffolk. This allows Custody Investigation Unit (CIU) officers and staff to provide an important service to support front line officers by managing detainees through the investigative process. Cases are then managed through the Criminal Justice Service to CPS, the Courts and wider Criminal Justice System. partnership working with Criminal Justice agencies, including the Crown Prosecution Service, Her Majesty’s Courts and Tribunal Service, Youth Offending Teams and National Probation Service leads to a more efficient and effective Criminal Justice System. Gemma has responsibility for the Joint Performance and Analysis Department (JPAD) and also the Corporate Development and Change(CD&C). The development and delivery of the department’s functions and products. Developing and ensuring the delivery of an EBP strategy and associated aim and vision. Organisational Development – overseeing the development of organisational strategy, planning, risk management, continuous improvement, outcome based budgeting, policy and procedures and reducing bureaucracy. Change Portfolios – encompassing the Business Support Review (BSR), Protective Services, Justice Services collaboration, and single force change programmes. Business Applications – coordinating the delivery of the Digital Strategy, as well as the development and delivery of front, middle and back office IT business solutions such as Storm & the Enterprise Resource Planning system. The future programme also includes development of Athena, the national Emergency Service Mobile Communications Project, and body worn video supported by an effective network and storage infrastructure. The primary role of the department is to develop joint initiatives that deliver efficiencies and economies of scale, beneficial to all organisations. The department also reviews and promotes the full use of national, regional and local agreements to secure improved value for money. Advising and co-ordinating a joint procurement policy and to provide assistance and advice to all Departments in relation to the external supply of goods and services; ensuring adherence to contract standing orders, EU Directives and Public Supply Contract Regulations 2015. Oversee contract monitoring for strategic contracts. Liaising directly with regional partners. Actively contribute to a joint County wide Procurement Working Group in order to develop best practice. Manage any skills gap, develop, undertake and promote a training programme in order to improve the performance of procurement staff. Measure the outcomes resulting from the implementation and deadlines identified in the Financial Services Development Plan. Maintain and update the joint Norfolk, Suffolk Contracts Register. reducing the risk of corruption and preserving the integrity of the organisations. Delivering the strategic direction and delivery of the strategic aims of PSD, to provide a service to the public, OPCC’s and to Norfolk and Suffolk Constabularies. Ensuring all public complaints are assessed, recorded and investigations are managed in line with the Police Reform Act, referred to the IPOC where necessary, allocated appropriately for investigation and complainants kept up to date as per statutory requirement. Overseeing the investigation of the most serious, sensitive and complex public complaints and all conduct matters relating to Norfolk and Suffolk officers and staff. Ensuring the preservation of the actual and perceived integrity of the organisation, through the central authorisation of business interests, the monitoring of gifts and hospitalities and the vetting of new recruits, volunteers, partners and re-vetting and enhanced vetting of existing officers and staff. Ensuring the reduction of the risk of corruption within Norfolk and Suffolk Constabularies through proactive intelligence gathering, effective investigation and targeted preventative work. Being the appeal body for appeals in respect of relevant public complaints and provide effective liaison between the Constabularies and the IPOC. As temporary Head of Protective Services, Steve is the Head of Crime for both Norfolk Constabulary and Suffolk Constabulary. 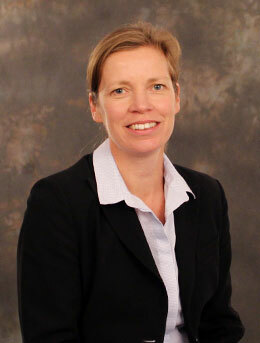 Legal Services in Norfolk is headed up by Alison Ings who qualified as a solicitor in 1988. 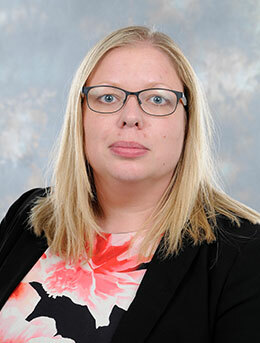 Alison joined Norfolk County Council in 1988, working as a solicitor with responsibility for the provision of legal advice to Norfolk Constabulary. 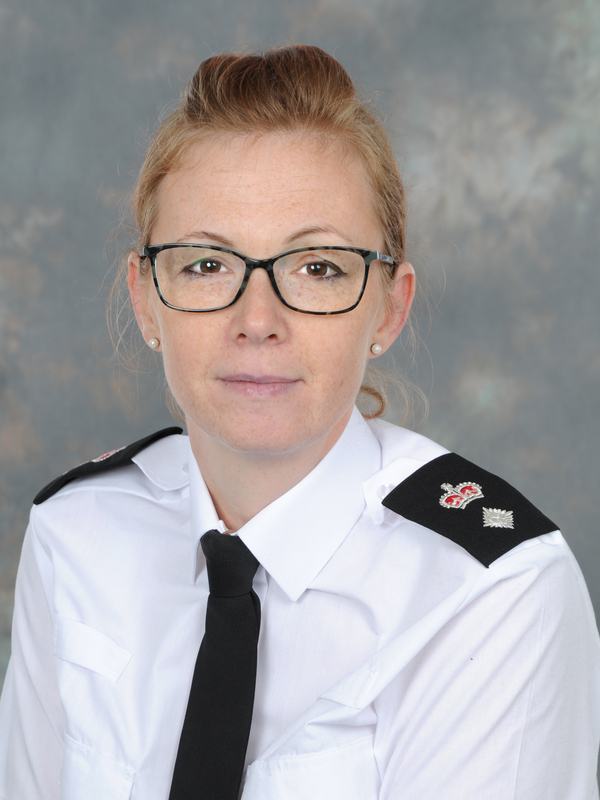 In 1999, Alison moved to Norfolk Constabulary, as the Force Solicitor, to set up and manage an in-house legal department responsible for the provision of a comprehensive legal service to the Chief Constable. Alison is also the responsible budget officer for Legal Services. Today, Legal Services is an in-house team consisting of six lawyers and four support staff and provides a comprehensive legal service to the Chief Constable and his officers and staff on all matters of law. The Department also advises officers and staff within the Norfolk and Suffolk Constabularies’ joint departments and commands. Matthew transferred to Suffolk Constabulary from Thames Valley Police in 2003 and has held a wide variety of roles. He has served as a public order officer for his whole career, qualifying as a Commander in 2009 and has been a Firearms Commander since 2010. He holds a BA(Hons) and postgraduate qualifications in Leadership and Management. As Head of Specialist Operations, Matthew is responsible for the Roads and Firearms Team, Firearms and Specialist Training and Support, the Dog Section, Operational Planning and Firearms Licensing across Norfolk and Suffolk, under the Joint Protective Services Command. The role of the Joint Transport Services Department is to provide an efficient and effective vehicle and transport service to Norfolk and Suffolk Constabularies and Police and Crime Commissioners, meeting the operational policing needs under value-for-money principles within the resources available. It also makes sure services are consistent with Government, The Police and Crime Commissioner’s and Chief Constable’s policies, and UK/EU legislation. Assisting the Police and Crime Commissioners and Constabularies in delivering the best service possible for the communities of Norfolk and Suffolk. Providing the most cost effective service, optimising value for money for the tax-payer. Minimising carbon foot-print, reducing journey numbers and length whilst considering alternative travel methods. Maximising operational performance and public reassurance through the provision of a fit for purpose vehicle fleet. Ensuring robust corporate governance and risk management. Ensuring a high standard of health and safety. Projecting a strong corporate image. Realising partnership opportunities as appropriate. Utilising emerging technology as appropriate.